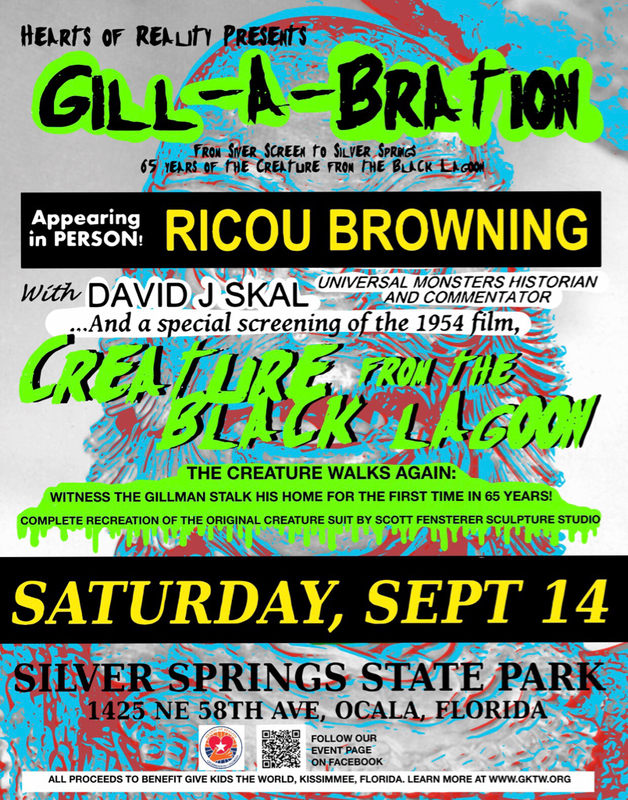 Please check out the new page for our Gill-a-Bration for the 65th anniversary of Creature from the Black Lagoon! This is shaping up to be an event not to miss! Hope to see you all there! I looked at the Facebook post, but it doesn’t offer much information about the event; is there a more detailed account available? We will be adding a lot over the next few weeks... sponsor forms, vendor applications, and pricing information is all coming! We have amazing show exclusives to be announced as well! Definitely keep checking the page, and if you haven’t yet clicked “interested” do so, as that will notify you of all updates as they are added. We will also be adding an info page and links to my studio page at www.scottfensterersculpture.com with full info and updates as well... including an eventual link for tickets and vip package info which will include a VIP reception, exclusive photo ops, and more. Florida is way off my stomping grounds so be sure to post lots of pictures from the event. It's beyond awesome that Ricou Browning has agreed to participate. He's as much a lesson in longevity as the movie's popularity. Maybe I should take up swimming, too. I also can't wait to see your new Creature suit in action.